Now you can leave a message for your loved ones on their storage boxes! This Star Wars Chalkboard Tin Tote Carry All Storage Box Set contains 3 individually packaged tin storage boxes. 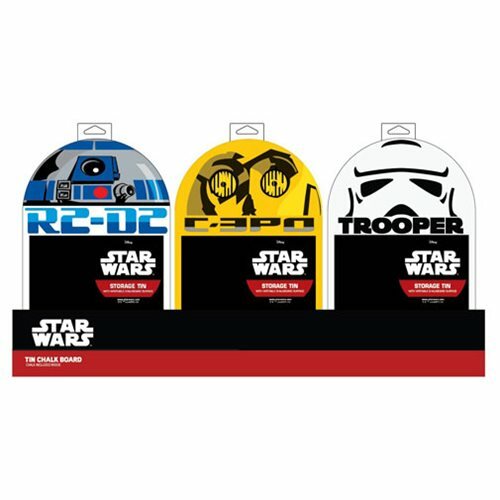 You'll get 3 different storage boxes with Star Wars art; one features R2-D2, another shows C-3PO, and the third shows a Stormtrooper. Each storage box includes a chalkboard portion for your drawing or writing pleasure! Ages 13 and up.